Urethane flooring solutions are engineered to withstand environments where stringent conditions are the norm, such as wet processing, high-temperature cleaning, or chemical contamination. 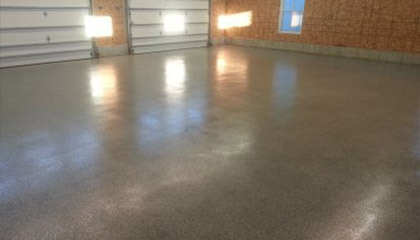 Black Bear Coatings & Concrete has extensive experience installing urethane floor systems. One of the benefits of urethane flooring is its seamless surface. This has two major benefits. A seamless surface prevents the growth of bacteria. This is a distinct advantage in the food, beverage, and pharmaceutical manufacturing sectors. The second benefit is the fact that a seamless surface discourages chemical and water intrusion which can attack the concrete flooring substrate. If a seamless transition is needed between the floor and wall, this can be accommodated. Black Bear Coatings & Concrete is ready to work with you to identify the most appropriate urethane flooring system for your facility. Zero VOC products also help deliver an environmentally friendly flooring solution. In addition, numerous options are available in terms of color, finish, and texture.